Ideas that arise hidden in a cabin, surrounded by cliffs, parks and vineyards. We have the instinct to find special places and people. We are always looking for ways to inspire. Wherever they are, we come to them. In this case from the hand of one of our collaborators, of which we have already talked about in this blog. José Ángel conveys passion, strength, determination, illusion … He lives in the land where his vines are, in the middle of a UNESCO biosphere reserve (Urdaibai-Basque Country-Spain), next to the cliffs of the Cantabrian Sea. There, he makes txakoli * and offers ideas for people to enjoy their home and this protected area. We are in love with his last project. 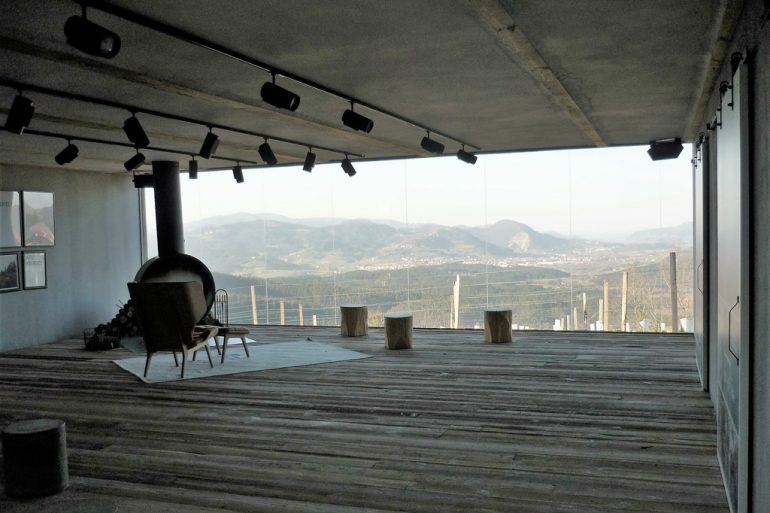 He calls it “the hut”: a cabin with a glazed enclosed balcony, technically qualified to organize business meetings, presentations, celebrations… corporate events in the Basque Country. A hidden place on a natural balcony that encourages both concentration and letting the imagination fly … until the aroma of fresh grilled fish reminds you that it is time to take a break. Are you looking for inspiration and privacy?